NBN Co has announced a new product set to facilitate retail services providers' access to connectivity virtual circuit (CVC) and access virtual circuit (AVC). The company behind the rollout of the National Broadband Network (NBN) has launched NNI link, a network-to-network interface (NNI) product which allows RSPs to acquire AVC and CVC directly from NBN Co without having a physical connection to all 121 of NBN Co’s points of interconnect (POI). The AVC is a fixed monthly access fee payable by RSPs for each of their end users and depends on the maximum bit rate requested, while the CVC is a charge for the collective amount of bits that flow through the point where the nbn network interconnects with their own network. Before, an RSP had to go through a large telco such as Telstra or Optus to get NBN services. Under the new structure, RSPs will deal directly with NBN Co however, still having to pay backhaul access to a telecommunications provider. NBN Co expects this direct access will enable RSPs to improve their offerings. “The NNI link product, in concert with backhaul products from wholesale providers, offers a quick and easy way for retailers to increase their footprint," NBN Co general manager of new business and innovation Streicher Louw said. "Being able to buy AVC and CVC directly from NBN Co gives retailers access to the latest pricing bundles and direct access to NBN Co for support." NNI link was made available on July 2. According to NBN Co, it will enable RSPs to take advantage of competitive backhaul offers from wholesale providers to rapidly build scale, while maintaining the ability to manage their own CVC contention and contact NBN Co directly for connection and assurance requests. “NNI link is a great example of collaborative development between NBN Co and its customers: using NBN Co’s innovative early market deployment process, we were able to take an idea proposed by our customers, consult with industry, and launch a fully functional product within nine months," Louw said. “NNI link makes it easier than ever for retail service provider to offer an improved customer experience and co-developing NNI link strengthened our partnership with RSPs through collaborative product development and open innovation,” Louw added. As previously reported by iTnews, the NNI product was being developed in January and was going to be designed as a new wholesale option for RSPs wanting to connect to the network. NBN Co said that the NNI link product was developed through extensive industry consultation. On July 2, NBN Co heralded its broadband network rollout in regional Australia as “on the home stretch” with access to nearly all homes and businesses out of major urban areas currently in design, construction or complete. As of June, access provision to 99.92 per cent of premises is at the design stage or beyond, although the figure doesn’t include off shore islands, “complex rural sites” and a number of government-run sites. 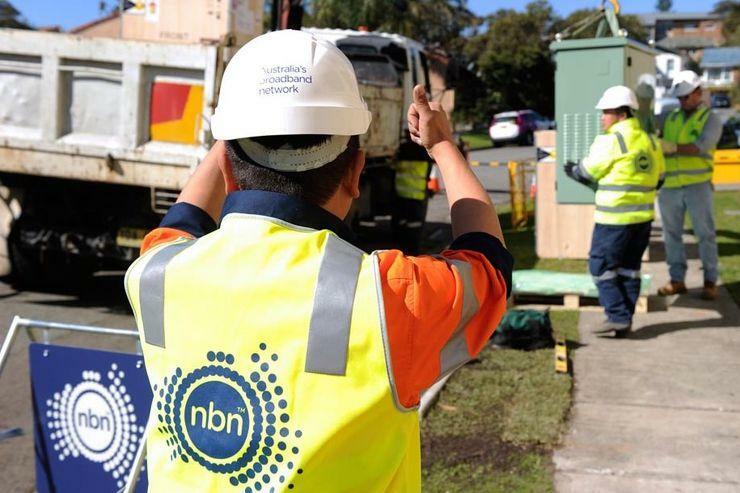 “We have seen a massive improvement in regional internet access, with our wholesale broadband services offering more competition, faster speeds and even giving some Australians internet access for the first time,” NBN Co CEO Bill Morrow said at the time.